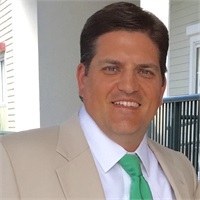 John Ashby Ware, ChFC®, CLU, CExP™ | Consolidated Planning, Inc.
Ashby was born in Shelby, NC and lived there until the age of 10 at which point his family moved to Gastonia, NC. He proudly attended Ashbrook High School in Gastonia and graduated in 1991. Being a lifelong Wolfpacker, he then attended North Carolina State University in Raleigh, where he graduated in 1995 with a Bachelor of Arts degree in Political Science. Ashby has been in the financial services industry since April 1996, starting initially with what was once known as First Union National Bank in Charlotte. He later accepted a position with Fidelity Bank in Wake County and moved to the Apex / Holly Springs / Fuquay Varina area in 2000. In 2004 Ashby decided to start his own practice and opened shop in Raleigh under the umbrella of Principal Financial Group. As a member of Principal, Ashby qualified for their Premier Club on several occasions. While associated with New York Life, he won the Pinnacle Award in 2010, and was a member of the Executive Council. In addition, he is an active member of NAIFA and a 5 time qualifier for the Million Dollar Round Table (The Premier Association of Financial Professionals). In early 2012, Triangle Financial Strategies, a general agency of The Guardian Life Insurance Company and Park Avenue Securities approached Ashby about moving his practice and becoming their Investment Specialist. He made the move knowing that he would be able to offer his clients every product and service as before, but now would also be able to add the full product line of one of the top rated mutual life insurance companies in the business. In July 2014, Triangle Financial Strategies made the strategic decision to join forces with Consolidated Planning, Inc. based in Charlotte, NC to expand their reach even further. Ashby has clients throughout the states of North Carolina, South Carolina, Virginia, New Jersey, Massachusetts and Florida. Ashby completed his Chartered Financial Consultant Designation (ChFC® ) in September 2013. He completed his Chartered Life Underwriter Designation (CLU) in November 2015 and earned his Certified Exit Planner Designation from Business Enterprise Institute (BEI) in July 2016. In his free time, he likes to go boating and fishing out of Atlantic Beach, NC. He likes to play golf and other recreational sports with friends and family, and attend sporting events for his beloved Hurricanes, Wolfpack, and Panthers. Ashby also plays drums and guitar, and is a piano novice. Ashby also is a baseball and softball coach for the town of Fuquay Varina. Ashby married Kristin Mahlum in September 2000. They have 3 children - Lindsey, Jake and Megan. The Wares live in Fuquay Varina and are active members of Fuquay Varina United Methodist Church. Registered Representative and Financial Advisor of Park Avenue Securities LLC, Financial Representative of Guardian.